I saw a picture online of a chicken-cheese-spinach baked dish and became fixed on figuring out a way to coax such flavors out of my own kitchen. 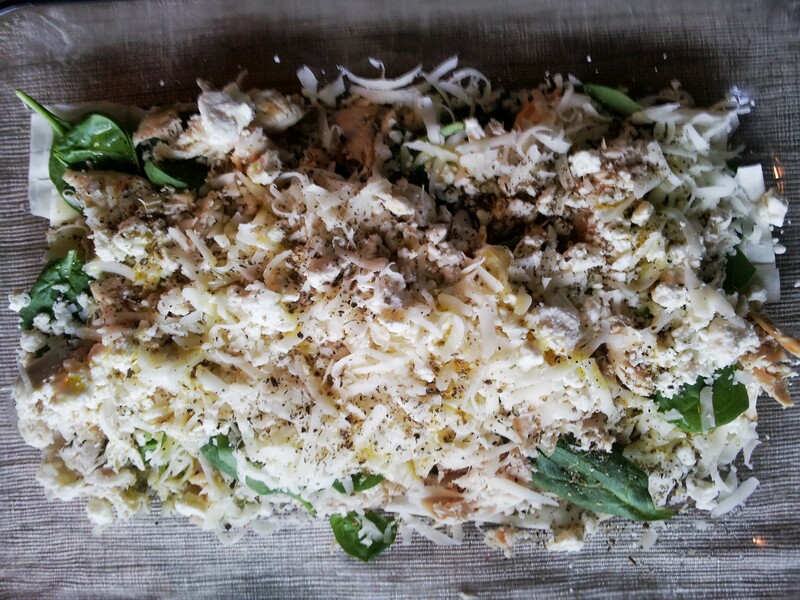 The result was flavorful, had a light crisp texture, and was full of fresh ingredients. It was a perfect quick summer dish! 1. defrost phyllo dough. Even if you’re like me and never remember to read the package and do this an hour before you want to use it, it will still be fine. I didn’t defrost and left the dough on the top of my stove while the oven pre-heated and the dough softened. 2. spray a 9×13 pan (I used a glass pyrex) with cooking spray. 3. Unroll phyllo dough sheets and line bottom of the pan with 3-4 sheets of dough. 4. dollop low-fat whipped cream cheese (I used Trader Joe’s version) on it every two inches or so on the dough surface. 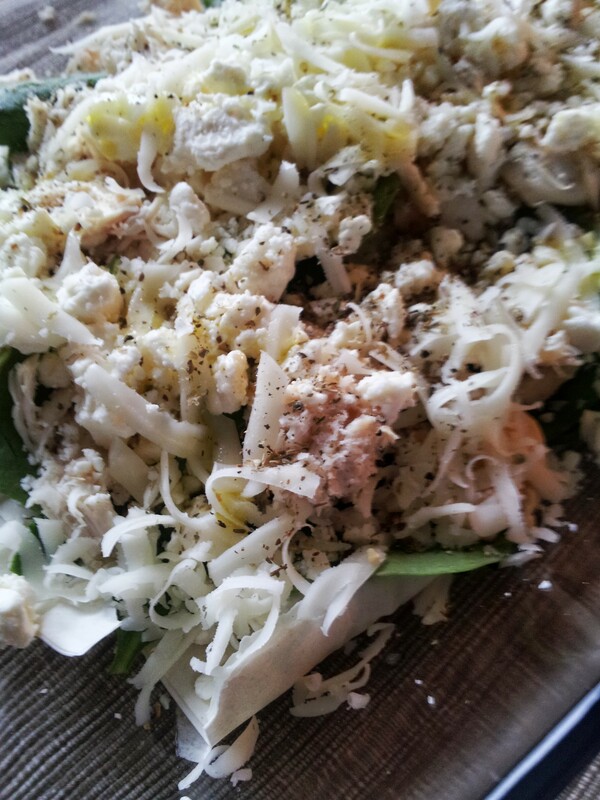 5. wash and pat dry fresh spinach leaves and lay them on top of the cream cheese. 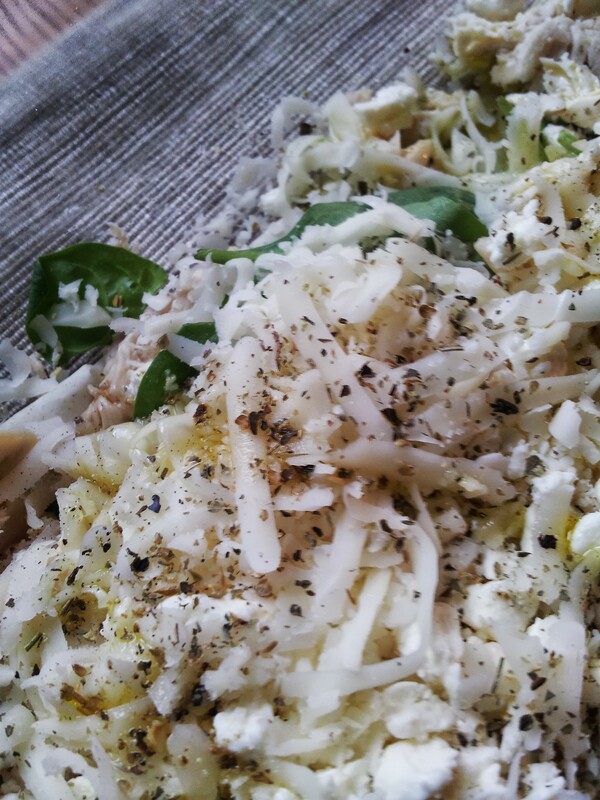 7. cook, shred, and layer chicken on top of the feta. 11. beat an egg and coat surface with this egg wash.
12. bake at 400F for 20-30 or until desired golden brown color or crispy dough texture is achieved. 13. cut into squares and try serving it with a fresh summer spinach salad with blueberries, carrots, and homemade vinaigrette! 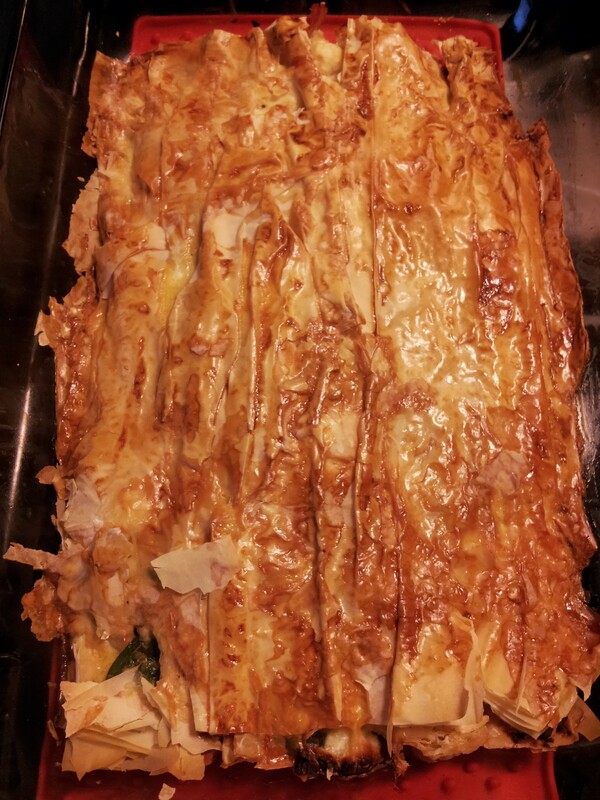 Tags: chicken bake recipe, easy food, greek food, recipe, spanakopita. Bookmark the permalink. Previous post ← “The Little Paris Kitchen” visits Boston!